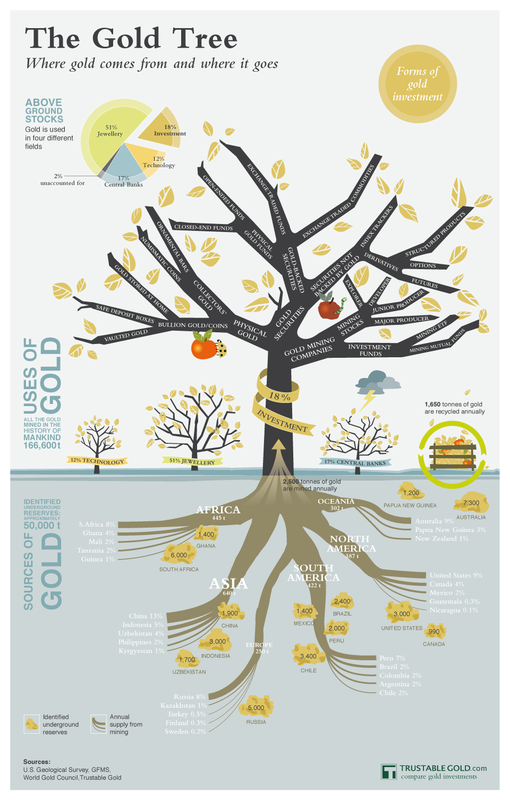 The Gold Tree Infographic visualizes above-ground stock of gold, sources of gold broken down to continents and countries and uses of gold. The infographic pictures the different forms of gold investments – ranging from physical gold in the form of bullion gold to securities not backed by gold. ← What makes Facebook Social Games so popular?